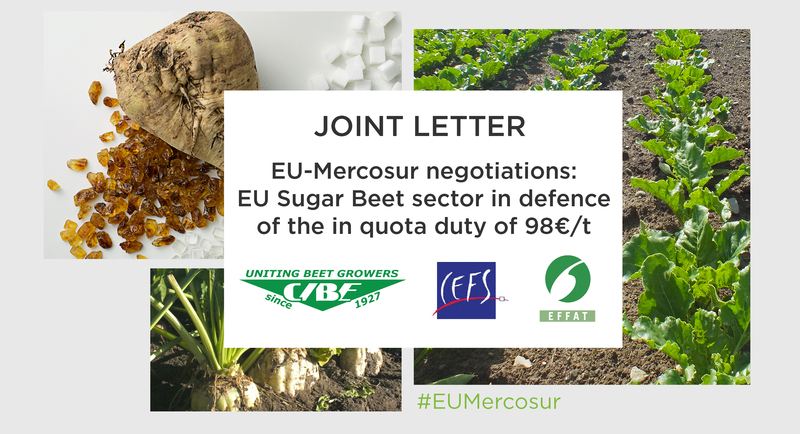 CEFS, CIBE and EFFAT understand that in the context of the ongoing trade negotiations the European Commission has offered the Mercosur countries an annual tariff-rate quota of 100,000 tonnes of sugar at 98 EUR/tonne duty. This is a substantial quantity that is higher than the annual output of some factories. - The 98 EUR/tonne duty levels the playing field somewhat between the EU and Brazil. The Brazilian sugar-ethanol industry benefits from a range of government support measures that allow them to sell at below cost prices. From 2020 the sector will receive a further financial incentive to increase production, with the entry into operation of RenovaBio – its credit-based biofuels promotion programme, which the Brazilian government expects to incentivise the construction of 20 new sugar-ethanol mills. Further, the Brazilian sector is subject to less stringent social and environmental standards – and therefore lower costs – than EU producers and growers. - The 98 EUR/tonne offers some buffer against the erratic movement of the Brazilian Real (BRL) against the Euro. The former bottomed at 4.7 BRL/EUR in September 2015, having dropped from a high of 2.6 BRL/EUR in March 2013. It currently stands at around 4 BRL/EUR, and is still falling in value. The continued weakness of the Real against the Euro supports the competitiveness of Brazil’s exports, allowing them to undercut European sugar producers. - Further duty-free market opening would depress EU sugar prices below even their current depressed levels. 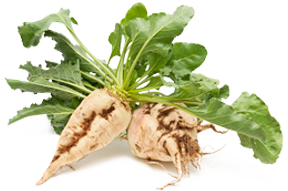 At this time, the EU average white sugar price is at its lowest level since the establishment of the European Commission Price Reporting System almost twelve years ago. It is below the EU industry’s average production costs, and therefore not sustainable. But the Commission expects these conditions to persist until at least 2030. The reluctance of the Commission to divide the EU’s bilateral tariff-rate quotas between the UK and the EU-27 raises the risk of more duty-free sugar available on the EU market. We urge the European Commission and Member States to stand firm in support of the 98 EUR/tonne duty.